Harry King CLU, ChFC, MBA has over 27 years experience in the insurance industry, beginning in administrative management and progressing to 11 years in sales and marketing. He retired in 1995 as Senior Vice President, Sales and Marketing for a life insurance company. There he led and coached a field force of up to 2000 representatives to be one of the most productive among its per group. He went on to lead and coach several other sales groups through acquisitions and in each case, the productivity of the acquired sales force increased substantially. Harry founded To The Edge Coaching in 2002, which provides coaching and consulting services to financial service professionals and small business owners. His expertise includes meeting planning and incentive contract design. 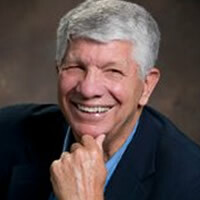 After retiring, he served as adjunct professor of business at North Greenville University and Greenville Technical College.